Milica Jovanovic´s career began at Buducnost where she won multiple Montegrin Leagues and Cups. In the 2009 summer, Milica Jovanovic was an impact player in the U20 European Championship and she averaged 18 points and 10.7 rebounds per game with excellent 53% from the field. Milica Jovanovic signed in Spain with Olesa Espanyol during the 2009/10 season and she averaged 3.1 points and 2.2 rebounds in 12 minutes per game. 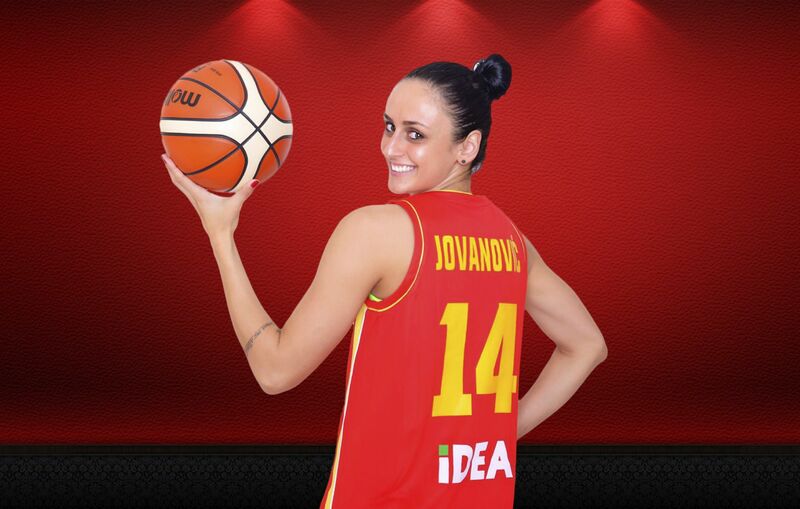 In the 2010/11 season, Milica Jovanovic signed in Italy with Umbertide and she averaged 4.1 points, 1.7 rebounds and 1.5 steals in 14 minutes per game. Milica re-signed with Umbertide during the 2011/12 season and she booster her stats until 8.5 points and 2.8 rebounds per game, reaching the Italian League Semifinals in both years that Milica was on the team. In the 2012/13 season, Milica Jovanovic was one of turkish basketball sensations since she averaged 15.7 points and 5.3 rebounds per game playing for Besiktas and sharing team with player like Tiffany Hayes, Jessica Breland or Armintie Price. Milica Jovanovic remained in Turkey during the 2013/14 season and she averaged 12.2 points and 4.5 rebounds per game playing for Orduspor. In the 2014/15 season, Milica Jovanovic signed with Adana Aski and she averaged 12.7 points and 3.7 rebounds per game with 35% from the 3 point line. Milica continued her career in Turkey during the 2015/16 season and playing for Botas she had excellent 13.6 points and 4 rebounds per game with 43% from the 3 point line. Milica Jovanovic started the 2016/17 season in Greece playing for Olympiacos and in March 2017 she returned to Turkey and signed with Mersin MBK where she averaged 9.1 points, 3.1 rebounds and 2.6 assists per game. Again, in the 2017/18 season, Milica Jovanovic started the year in Greece and she averaged 12.8 points and 7.3 rebounds per game with Panionios (62%FG |43% 3P). In November 2017, Milica moved to Spain and she signed with Campus Promete and averaged 10.4 points and 3.7 rebounds per game. During her whole career, Milica Jovanovic has been a key player in the Montenegrin National Team and she has played the European Championship in 2013, 2015 and 2017.